Chevy 8.2"/8.5" 10 Bolt Aluminum Finned Rear End Covers looks good and reduce fluid temperature. 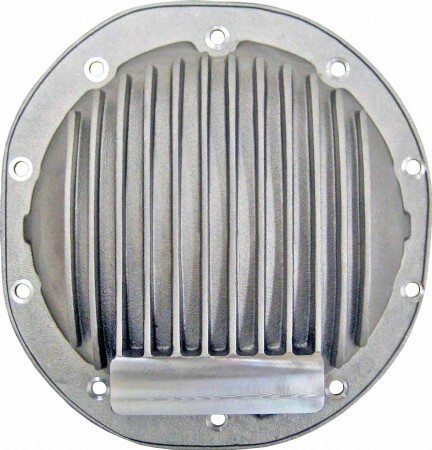 This cover fits all Chevrolet and GM corporate produced cars and light trucks with 8.2" & 8.5" ring gear and 10 Bolt rear ends, including 1/2 ton trucks. Designed for '86-'87 Grand National and T-Type Regal cars. Includes Magnetic Drain plug. Note: This is not a rear end Girdle, it is simply a rear end cover with no provisions to strengthen the rear end in any way.